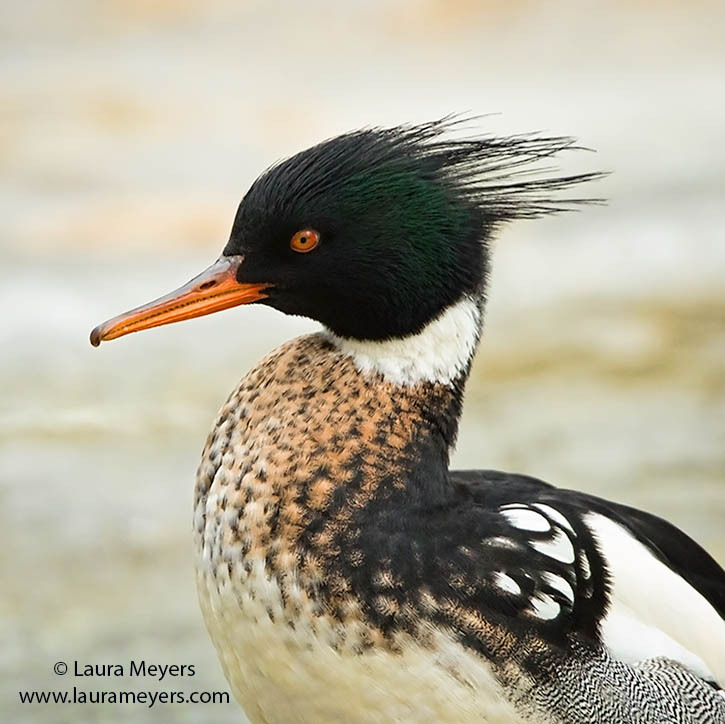 The picture of this Red-breasted Merganser Close Up was photographed in the Bronx. This Red-breasted Merganser was photographed with the Canon 5D Mark IV Canon 300mm f2.8 IS II with the 2X extender. A large diving duck with a long thin bill, the Red-breasted Merganser is found in large lakes, rivers and the ocean. To hear the song of the Red-breasted Merganser, click on the arrow below.